Liturgy is every Sunday at 11:45 A.M.
Sunday school at 12:00 P.M.
We have a Christian fellowship gathering after Liturgy. Please, visit our bulletin page! 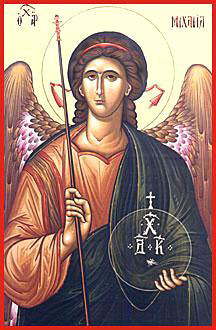 Saint Michael the Archangel Orthodox Mission has been serving Orthodox people in the Toledo area since 1994 and has a special ministry to students of the University of Toledo and Bowling Green State University. All Orthodox Christians and all those who are searching for the Lord are welcome to participate in the Divine Liturgy which is celebrated every Sunday and Feast Day in English, Romanian, Slavonic and Arabic.